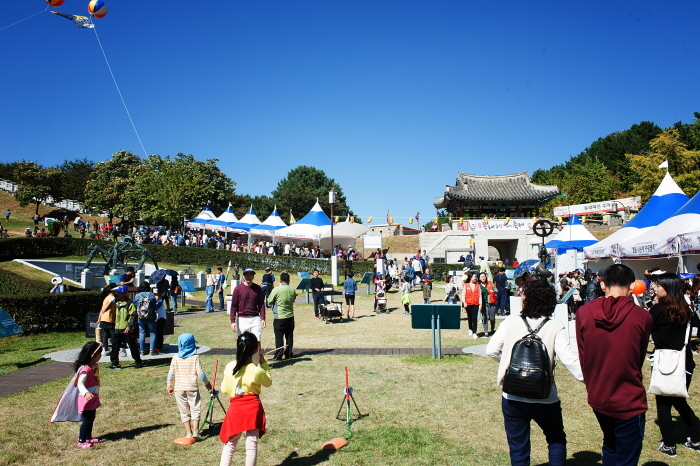 Dongnaeeupseong History Festival features the customs and traditions of Dongnae County, focusing on the noble spirit of patriotism. 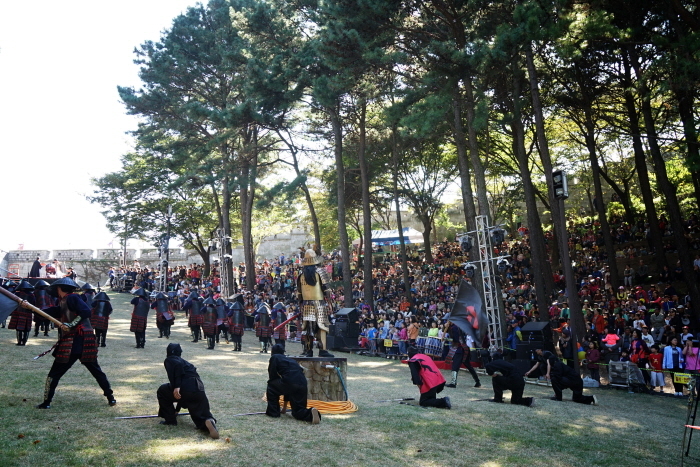 The festival has a high degree of both educational and entertainment value, making it one of the nation's unique "edu-tainment" festivals. Myeongnyun Station (Busan Subway Line 1), Exit 2. 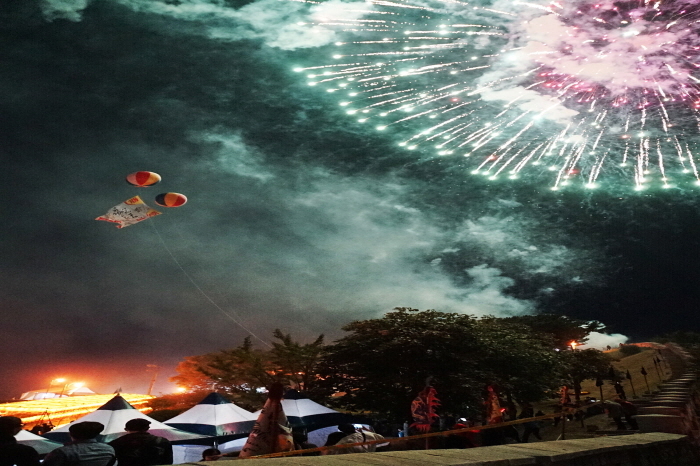 - Take a left at Dongnae-gu Health Center (동래구보건소) and go straight for about 220m. 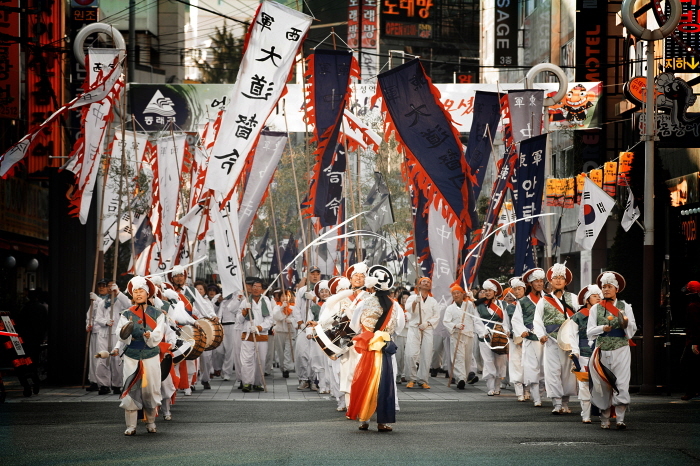 - Cross the road and keep walking straight for about 800m more to reach Dongnae Culture Center.